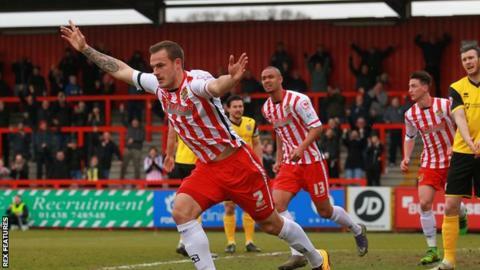 Stevenage defender Luke Wilkinson has signed a new contract at the club. Wilkinson was part of a Stevenage side that lost just one of their last nine games in League Two as they finished 14 points clear of relegation. The 25-year-old former Portsmouth trainee joined the Boro from Luton in the January transfer window. Wilkinson, who had already made 24 appearances for the Hatters during the 2015-16 season, then played 19 games for Stevenage.